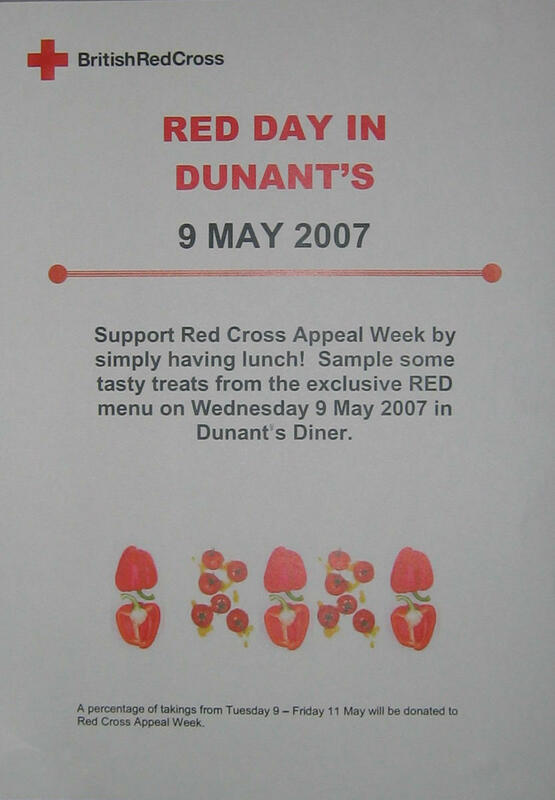 Small poster: Red Day in Dunant's 9 May 2007. Support Red Cross Appeal Week by simply having lunch! Sample some tasty treats from the exclusive Red menu on Wednesday 9 May 2007 in Dunant's diner. A percentage of takings from Tuesday 0 - Friday 11 May will be donated to Red Cross Appeal Week. This was held as part of the Red Cross Appeal Week events at UK Office.